With less than a month to go before Christmas, many holiday shoppers will be turning to virtual stores instead of brick-and-mortar ones to avoid crowded malls and long lines. Before you dash to your computer to purchase gifts for the upcoming holiday, follow these tips to make sure you’re getting the most out of your online shopping experience. If you’ll be doing any online gift buying this year, get started as soon as possible (if you haven’t already). When placing an order, you’ll want to take into account the amount of time it will take for your item to be shipped and delivered. The longer you wait, the greater the possibility that your gifts won’t make it there before Santa. Perhaps the greatest fear online shoppers have is the risk of cybercriminals’ accessing their financial information. You can protect yourself by shopping only via secure channels. Don’t shop over wireless connections that are not secure. Fill in only required fields on personal information forms and ensure that the information being requested is only what is essential to the transaction. Try to pay with a credit card, as this payment form generally offers the greatest level of financial safety. Coupons aren’t reserved for in-store purchases only. Do some searching for coupons and discount codes that you can use toward your online order. These can be found on reputable coupon websites or via retailers themselves (websites, email, social media pages, etc.). Remember, though, that just because a retailer is advertising a specific coupon code on its website doesn’t mean it will always be automatically applied to your order. Don’t forget to enter the code (or codes) when you check out. Not all websites will be offering legitimate deals this season. Steer clear of sales that seem a little too good to be true. If you come across an online storefront you aren’t familiar with, browse the business’s “about us” page, read customer reviews and check the Better Business Bureau to see what you can ascertain about the trustworthiness of the company. You can also search scam-report websites. Shipping doesn’t just take time; it can be costly, too. When searching online, compare the shipping costs among retailers. Target, for instance, is offering free shipping on all online orders through Dec. 20. Other retailers offer free shipping on orders of a certain dollar amount. Before you buy anything in cyberspace this holiday season – especially a gift – read the return policy of the online storefront that is selling the item to you. You’ll need to know if you can return and/or exchange a gift, how long the return window is and if it will cost you anything to ship an item back to the store. Your work isn’t done once you submit your order. Check your email for an order confirmation, shipping notification and tracking number. If your package isn’t shipped or delivered within its intended time frame, try contacting the seller. Second, you’ll want to monitor your bill for your own record keeping. 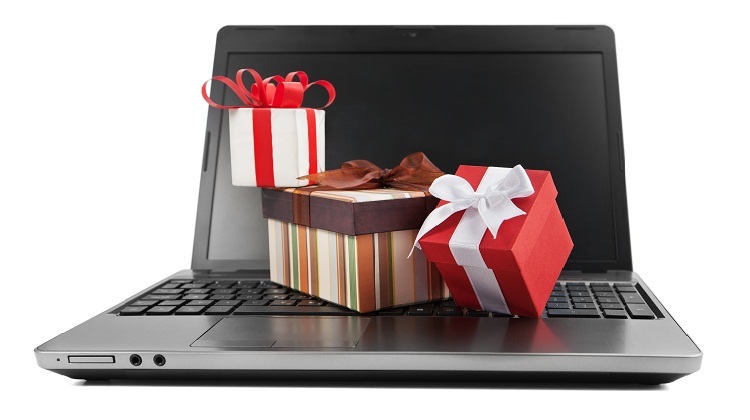 If you’re operating on a budget this holiday season, online purchases can pile up. Online orders don’t necessarily come with a physical receipt – as you would receive after an in-store purchase – so you’ll want to be aware of how much you have spent online and how much of your budget you still have left.